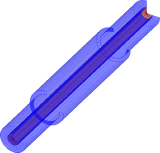 Vector 2D (V2D) solver for axisymmetrical structures (BOR - Bodies of Revolution). 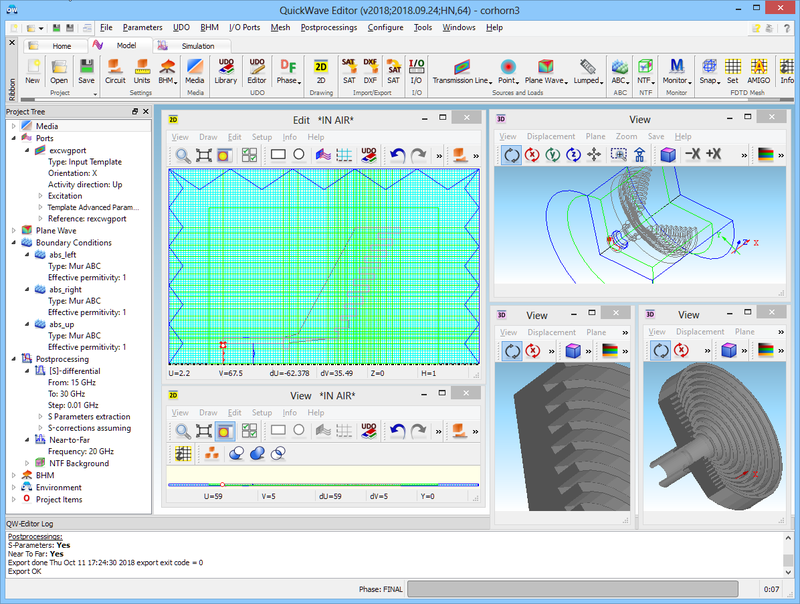 QuickWave V2D is a unique on the market and ultra fast Vector 2D (QW-V2D) electromagnetic solver is applicable to the analysis of axisymmetrical devices (which are also called Bodies Of Revolution) as large as 2100 wavelengths, including antennas (horns, rods, biconical), circular waveguide discontinuities, and resonators. 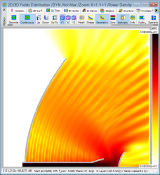 It is based on the Maxwell equations re-expressed in cylindrical coordinates. 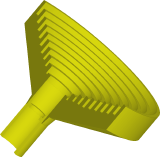 Definition of a 2D long-section of the structure allows for hundreds times faster simulation than brute force 3D analysis. It has been proven  that the structures, which maintain axial symmetry of boundary conditions, belong the class of vector two-dimensional (V2D) problems. 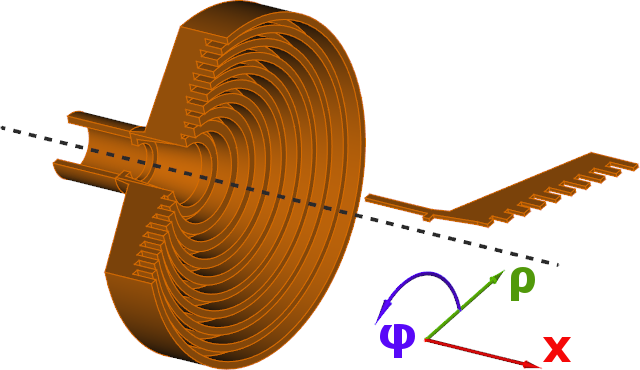 The total electromagnetic field in such structures can be decomposed into a series of orthogonal modes, of different angular field dependence of the cos(nPhi) or sin(nPhi) type, where Phi is angular variable of the cylindrical coordinate system and n=0,1,2... Each n-mode is analysed separately in QW-V2D. Under such assumptions the numerical analysis can be conducted in two space dimensions, over one half of the long-section of the structure, with n predefined as a parameter. 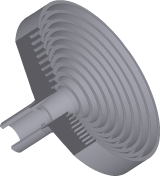 Let us note that the n-mode defined above should not be confused with one mode of a circular waveguide. For example, one QW-V2D analysis with n=1 takes into account a composition of all circular waveguide modes TE1k and TM1m where k and m are arbitrary natural numbers. 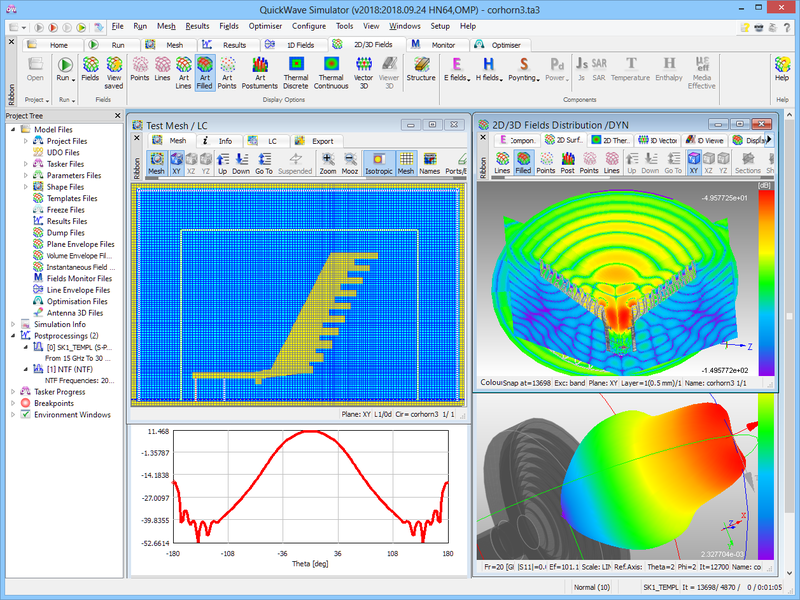 QuickWave V2D utilises the conformal FDTD method in a vector two-dimensional formulation, expressed in cylindrical coordinates. used in telescopes as well as communication antennas. 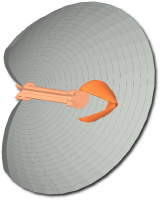 See also a "Industrial Design of Axisymmetrical Devices Using a Customized FDTD Solver from RF to Optical Frequency Bands" paper reviewing fascinating applications of the QW-V2D software that was published in the IEEE Microwave Magazine, vol. 9, No.6.